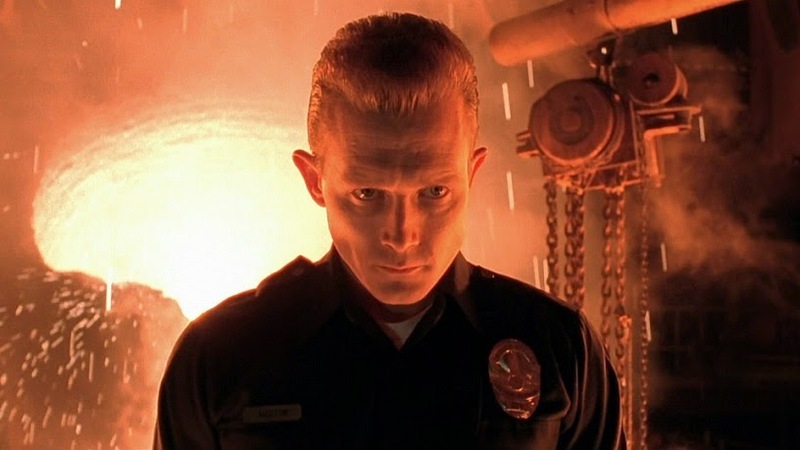 Robert Patrick is probably best known for his breakout role as the T-1000 in Terminator 2 : Judgement Day, but, unlike Arnold, he has never returned to the franchise to reprise his role. That is until now in Terminator: Genisys . Well, to be fair, he isn't returning as a T-1000, but he is in the film in some capacity and it's still badass to see him in another Terminator film regardless of the role. 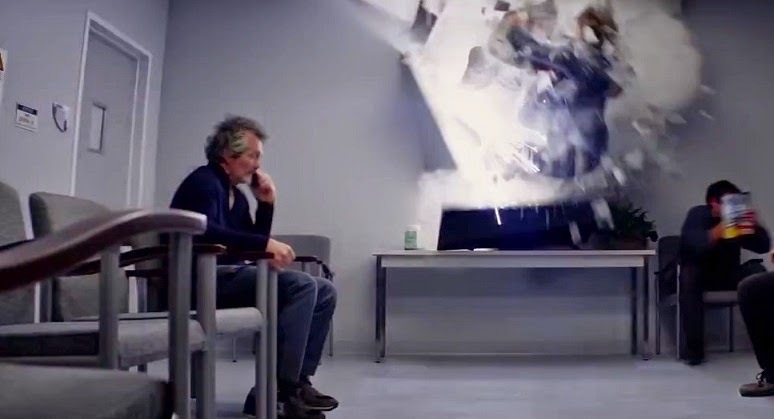 If you look below you can see the screen shot from the trailer that shows just a glimpse of Patrick in a waiting room when Arnold and a "man" come flying through the wall (a nice call back scene to his T2 fight scene). This is clearly Robert Patrick sporting the look he had while filming From Dusk Till Dawn: The Series. Judging from the white walls and sterile looking environment, I'm going with a hospital fight scene. Now the only quest left is: Are they going to play this for its humor or just a cameo with no acknowledgement?